Actor-filmmaker Kamal Haasan Monday said he has lost a great friend, following the sudden death of Tamil director R.C. Sakthi. Haasan said everybody should have a great friend like the Tamil veteran. Sakthi breathed his last here Monday at a private hospital following old age-related ailments. He was 75. "He was part of my family. I've lost a great friend. It started as a friendship and went on to become a familial relationship. I wouldn't say one can't find such a friend. I wish everybody should have such a friend," Haasan told reporters here. 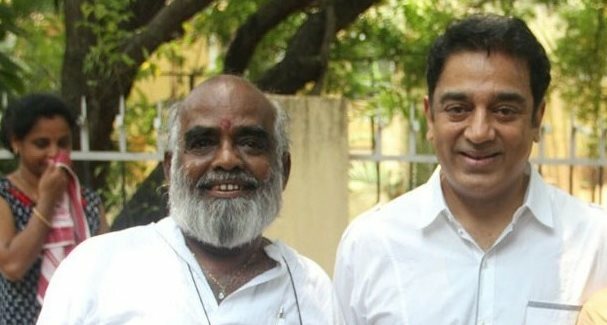 Haasan, who was launched by Sakthi as a hero in 1972 Tamil film "Unarchigal", said he was his "biggest fan and his brother". Sakthi is known for some critically-acclaimed films such as "Manidharil Ithanai Nirangala", "Dharma Yuddhama" and "Amma Pillai". His last directorial was 1993 Tamil film "Pathini Penn", which fetched his two state awards for best film and best dialogue writer. In his over a decade long career, he had directed 17 films.